In a past blog article I noted that one of the dividing lines between neo-evangelical Calvinists and those embracing thoroughgoing Reformed theology is the issue of the Lord’s Day as the Christian Sabbath. 1. 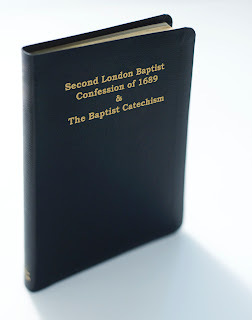 Chapter 22 “Of Religious Worship and the Sabbath Day” in the Second London Baptist Confession of Faith (1689). These eight paragraphs with scriptural proofs follow the Savoy Declaration and the Westminster Confession with only slight variation in laying out the Puritan and Reformed view of the Lord’s Day as “the Christian Sabbath.” Here is the distilled wisdom of our Protestant Reformation and Particular Baptist forebears. 2. 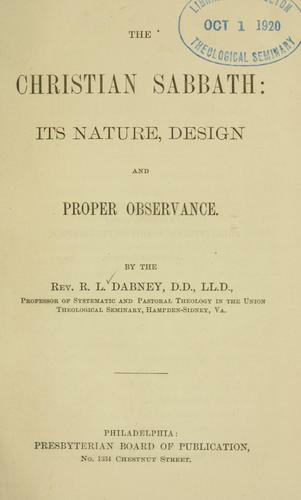 Robert Lewis Dabney, “The Christian Sabbath: Its Nature, Design, and Proper Observance” in Dabney’s Discussions, Volume I (Sprinkle reprint, 1982): pp. 496-550. 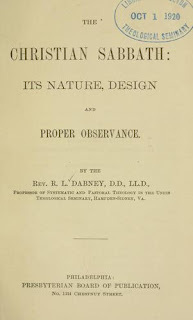 The Presbyterian stalwart doggedly defends the classical Reformed position by exhaustively reviewing the Biblical texts to defend the fourth commandment as “moral and perpetual.” Of note is his exegetical review of “objection passages” like Romans 14:5-6; Galatians 4:9-11; and Colossians 2:16-17 (see pp. 521-530). Dabney does not suffer lightly those with mushy and inconsistent thinking on this issue. 3. Richard C. Barcellos, In Defense of the Decalogue: A Critique of New Covenant Theology (Winepress, 2001). 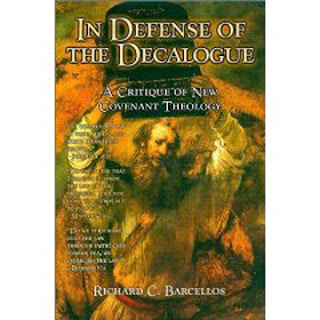 Barcellos offers a critique of “New Covenant” theology (an effort to blend Calvinistic soteriology and dispensationalism) from a Reformed Baptist perspective. Though this booklet covers the Christian’s view of the moral law in general, it readily applies to the question of the continuing validity of the fourth commandment, which NCT rejects. 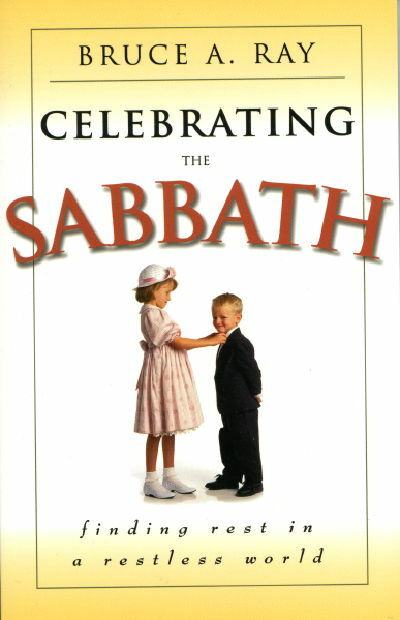 Classic booklet by longtime Reformed Baptist Pastor and Banner of Truth editor which both offers a Biblical and doctrinal explanation of the fourth commandment and provides practical counsel on how positively to observe the Lord’s Day without straying into legalism. 5. Bruce A. Ray, Celebrating the Sabbath: Finding Rest in a Restless World (P & R, 2000). 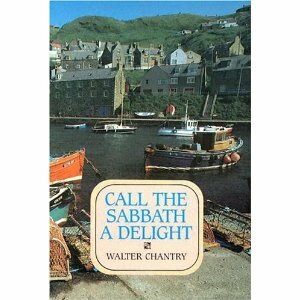 Another worthy attempt to do what Chantry’s book does. 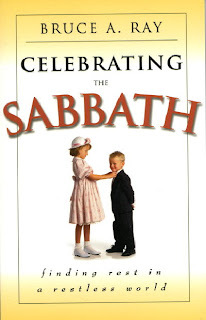 This brief book (only 125 pp) is ideal for parents and families to read and study together in order to discern a Biblically faithful way to enjoy the Lord’s Day without becoming Pharisaical.